After launching several products, Vapir found itself entering a new marketplace with fresh products that alienated their original branding. They needed to sharpen their web presence, clarify their offering, and distill messaging that contributed to the brand's reputation as a sophisticated and refined company. Vapir tasked TechnoVerde with identifying market trends and determining the functionality a new premium cannabis vaporizer would need in order to hold a competitive advantage over the other brands in the market. 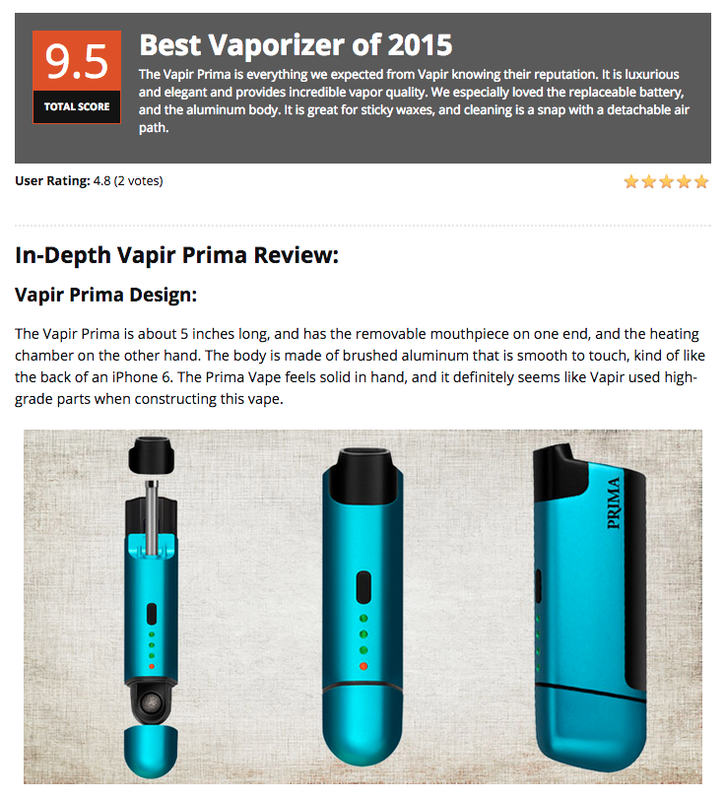 We worked closely with their engineering team to prioritize the qualities sought after by consumers, then conducted a market analysis to find a strategic position for the new vaporizer: Prima. We conceptualized, shot, edited, and published a series of over a dozen product-specific videos. Designed to serve as a reference for customer service's FAQs, these videos also help teach the world about Vapir. We also identified a unique opportunity with a cannabis analytical laboratory in Oakland, California who could help the company prove the exceptional quality of their product: the VapirRise 2.0. TechnoVerde found a lab that fit the budget, then we worked closely with the lab technician to model the study, perform the experiment, and capture the entire process. We then produced a video narrating the process and delivering the conclusions of the research as shareable content. TechnoVerde identified a digital strategy to create a harmonic message about Vapir products, the Company, and the Art of Vaporization. We expanded the reach to nearly a million impressions per month using organic reach an strategic partners across all of the social media platforms. We positioned Vapir as a premium brand through product photography, videography, and voice.